Rexam Prescription compliant opaque CRC Screw-Loc Vials are largely used for medical marijuana and are available in 30 dram, 40 dram, and 60 dram sizes. 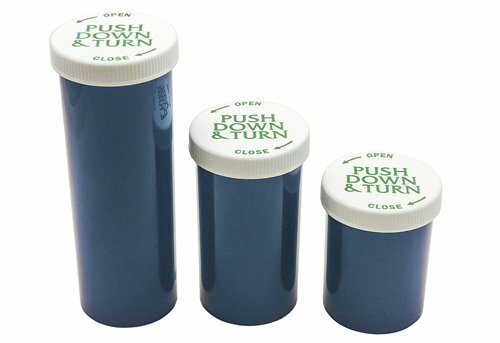 These opaque prescription vials with child resistant caps are compliant for cannabis sales with the State of Colorado Department of Revenue’s Marijuana Enforcement Division. The Rexam Screw-loc® child-resistant package has been considered the industry standard for over 40 years. Made in the USA, these opaque vials and child resistant caps have been manufactured to be used in marijuana dispensaries. CRC Screw-Loc Vials are both moisture resistant and light resistant, optimal for marijuana compliant containers.